As part of the European Poker Tour in Barcelona, the first stage of the season 11, Casino Barcelona hosted the national circuit named Estrellas Poker Tour. The Main Event of  1,100 buy-in attracted 2,560 entries. After five days of competition, nine players were qualified for the final table: Daniel Barriocanal, Andrew Chen, Matias Ruzzi, Corinne Baucher, Simon Hemsworth, Nir Levi, Vladislav Donchev, Bela Toth and Hakim Guitoun. Simon Hemsworth was the first to head to exit. The British poker player took home  31,114 for his 9th place. As a reminder, 383 players reached the In The Moneys places in this poker tournament; they pocketed from  1,713 to  393,354 of cash. After some unsuccessful hands, Bela Toth headed for the doors for  40,849. Daniel Barriocanal (7th,  56,369), Andrew Chen (6th,  73,826) and Corinne Martine Bauche (5th,  91,580) followed him soon afterwards. The four survivors then competed in a tough race with a new earnings distribution. Actually the first-place winner was initially guaranteed to cash  393,354 and respectively  209,582,  141,542 and  109,633 for the three other players. Hakim Guitoun fell to fourth place but the 4-men poker battle allowed him to collect  178,550 of win. Start-of-the-day chip leader Nir Levi finished the lowest place of the podium for  188,511. The final heads-up then saw a clash between Russias Vladislav Donchev and Argentines Matias Ruzzi. Ruzzi eventually emerged victorious and claimed the  198,550 prize. 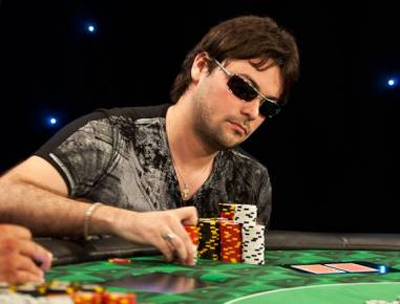 Interestingly, runner-up Donchev closed this poker event with the biggest pot:  278,500.